1. bakery flour mixer is automatic large scale Dough Mixer, usually matched with product line. which is matched with Touch Screen,PLC,control technology. 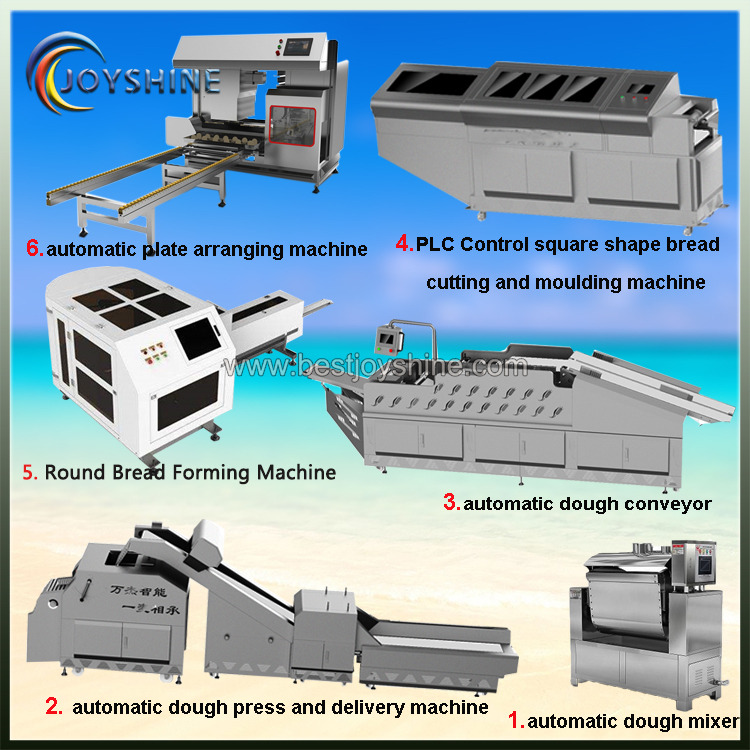 2. dough mixer is Visual operation and accurate control. 3. machine functions include automatic water filling,automatic dough mixing,automatic bucket tipping and automatic dough discharging. 4.Water addition control through flow meter and monitoring and adjustment through tough screen.Accurate to 5 ml/s to guarantee the dough mixing quality. 5.Intelligent operation,After parameters are set, the water addition can be calculated automatically after flour input amount is input. 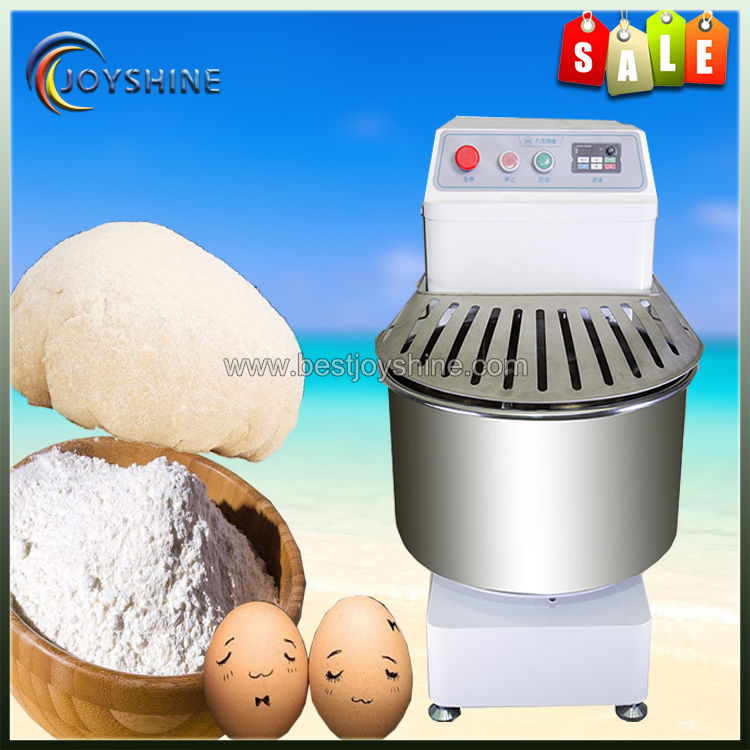 6.Widely applicable to mixing of flexible dough used to make steamed bun,steamed stuffed bun,dumplings,bread,etc.If the blender can be replaced,crisp dough can be also mixed to make pastry food, such as cake ,biscuit,short bread. The tipping bucket motor includes turbine drive.The turbine is fixed on the shaft sleeve of flour bucket right wallboard.The tipping bucket drives the turbine,which is fixed on the shaft sleeve of flour bucket right wallboard,to operate to drive the dough bucket to rotate accordingly.The position and reset of flour bucket overturn are controlled by the proximity switch.When the flour bucket rotates downwards to the required position,the rotary movement of blender shall be coordinated to automatically discharge the mixed dough. The equipment can add water automatically and is equipped with an automatic flour feeding opening.The customer shall equip a flour conveying device additionally. 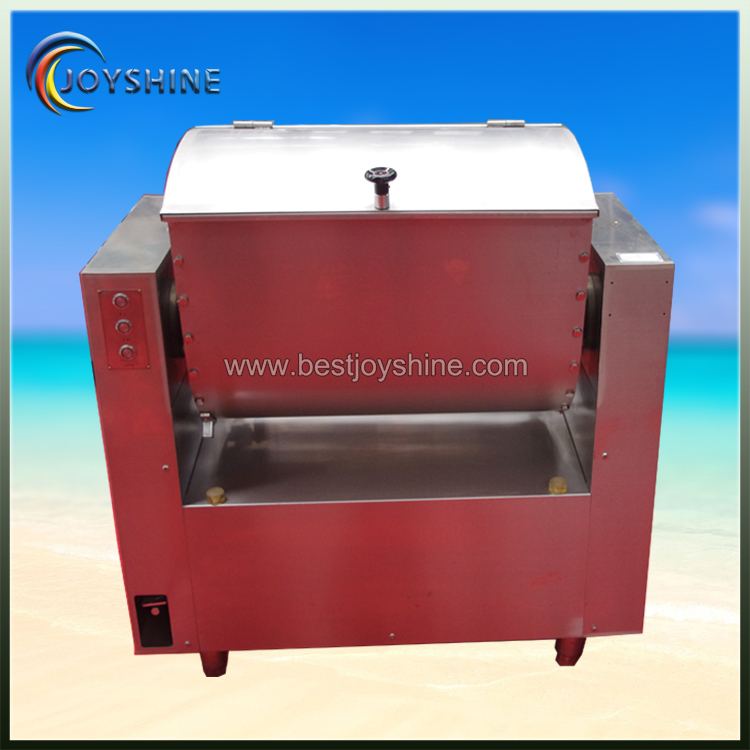 The Flour Mixing Machine is applicable for canteen, restaurant and pasta processing workshop. 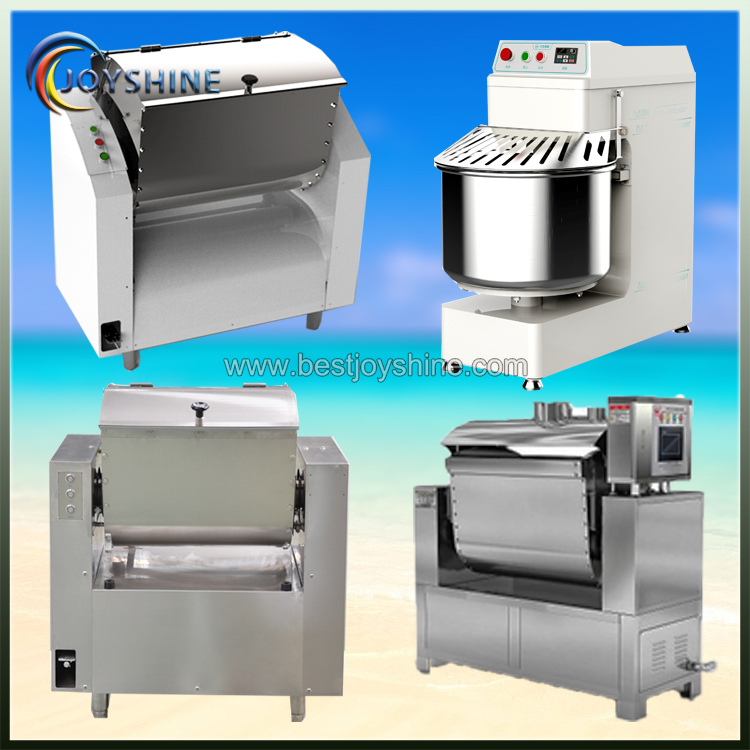 It is a kind of ideal equipment to reduce labor intensity and meet requirement of the people's food hygiene. 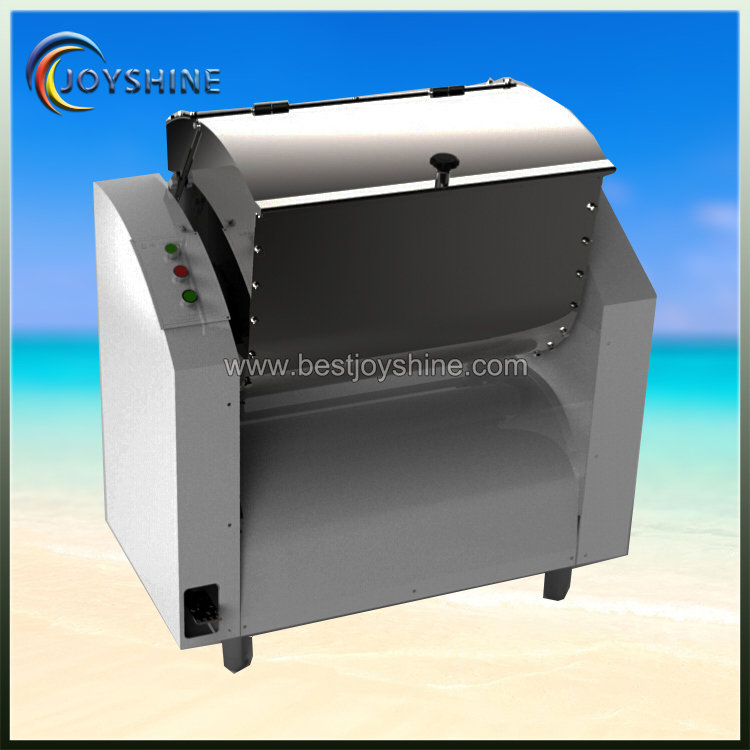 The machine can be used for mixing and stir of other similar.The operator can adjust mixing speed according to realistic situation. [The actual flow is related to the customer water source flow and pressure. 1. The machine will be packaged by wooden case. 2. The machine is settled in the wooden case and can not move. 3. The machine will be shipped in 5 days after the payment. 1. Training how to install the machine, training how to use the machine. 3. Present a free teaching CD after purchase. 4. Send engineer to install. Note: If you have questions about the vertical flour mixing machine or other related machine,please contact me. Looking for ideal Bakery Flour Mixer Manufacturer & supplier ? We have a wide selection at great prices to help you get creative. All the Stainless Steel Flour Mixer are quality guaranteed. We are China Origin Factory of High Quality Bakery Flour Mixer. If you have any question, please feel free to contact us.